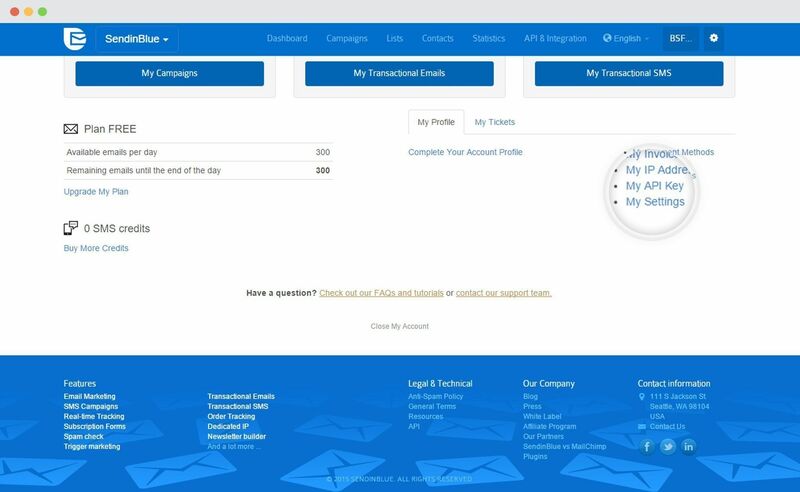 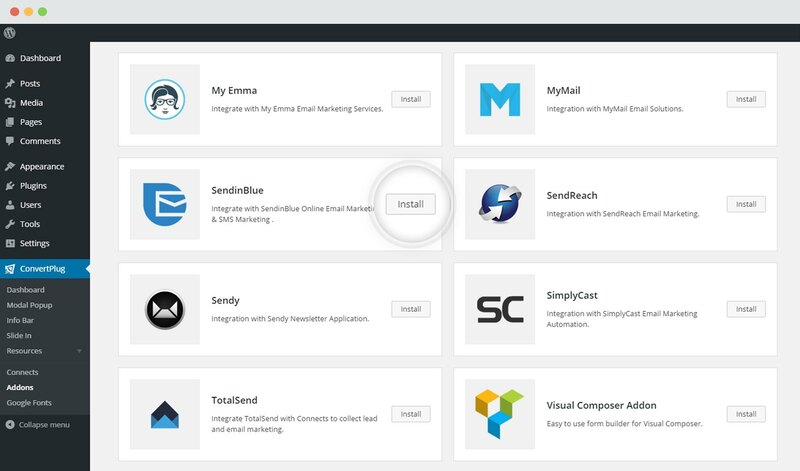 ConvertPlus offers seamless integration with SendinBlue. 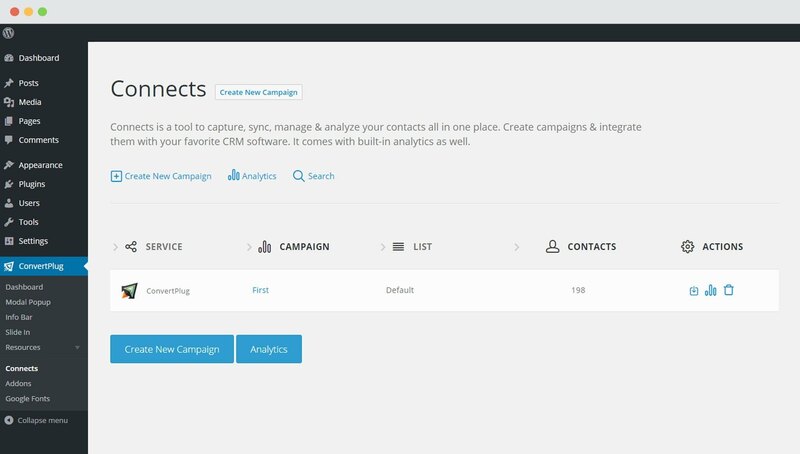 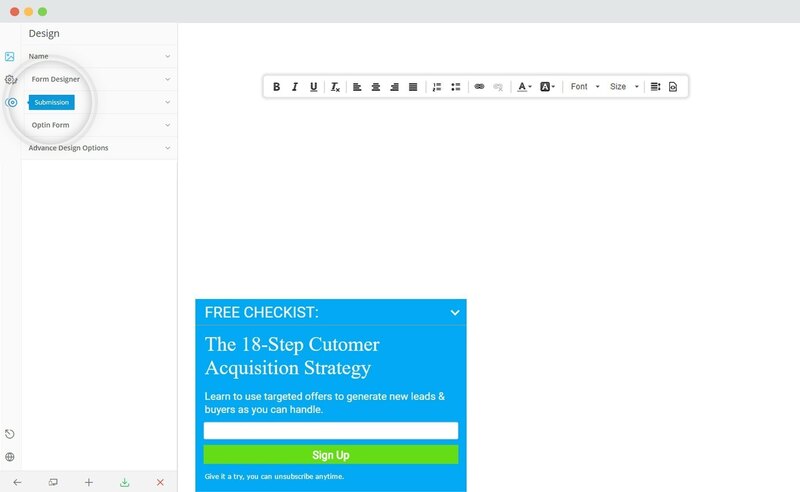 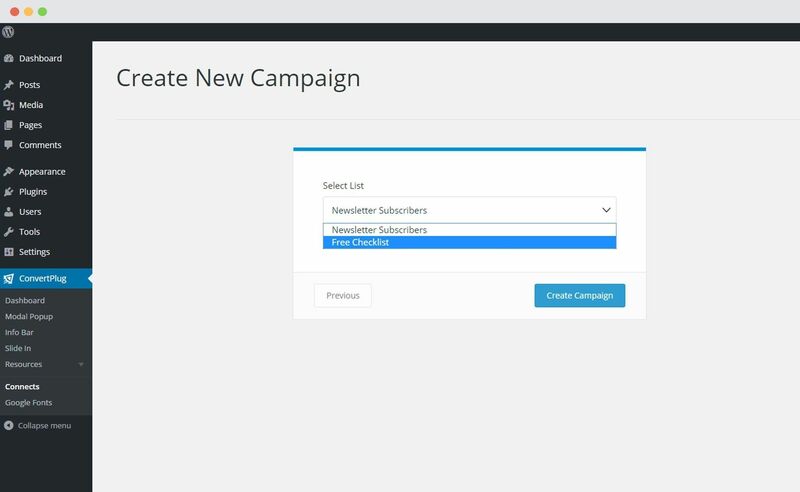 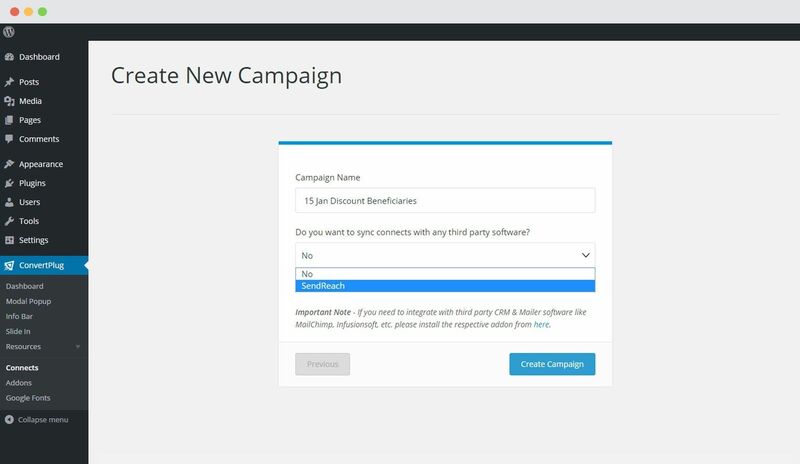 This integration will allow you to capture leads using ConvertPlus and manage email subscriptions through SendinBlue. 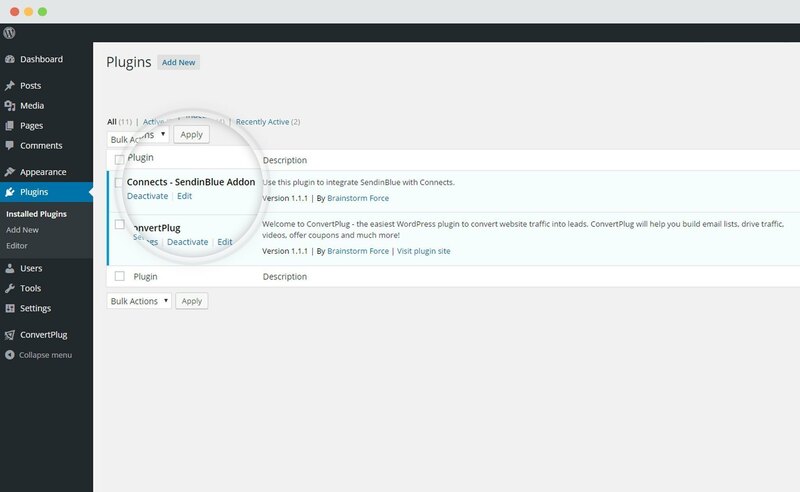 In order to integrate ConvertPlus with SendinBlue, you can follow the steps mentioned below. 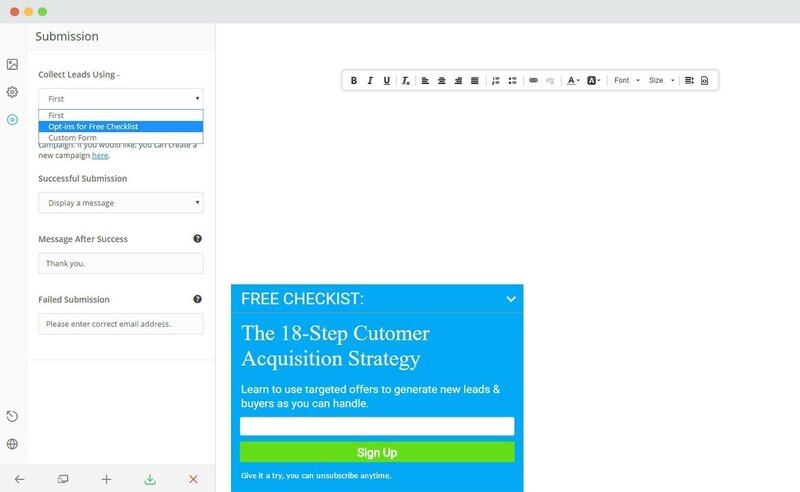 Select SendinBlue from the drop down below. For the integration with SendinBlue, you need the API Key. 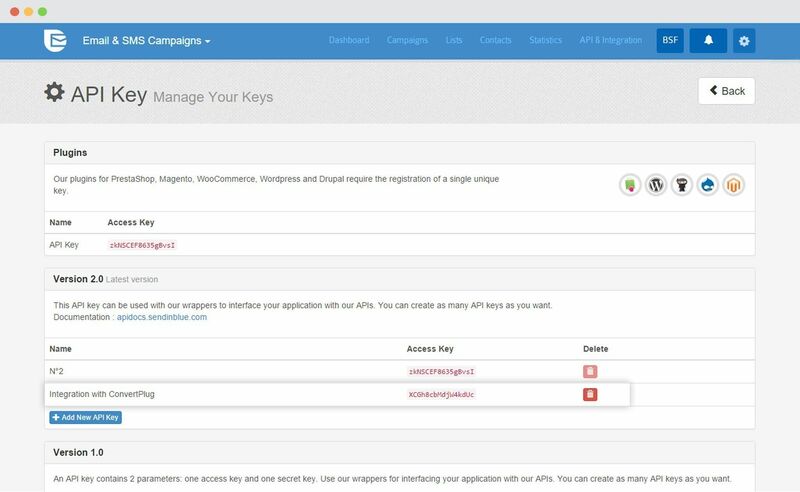 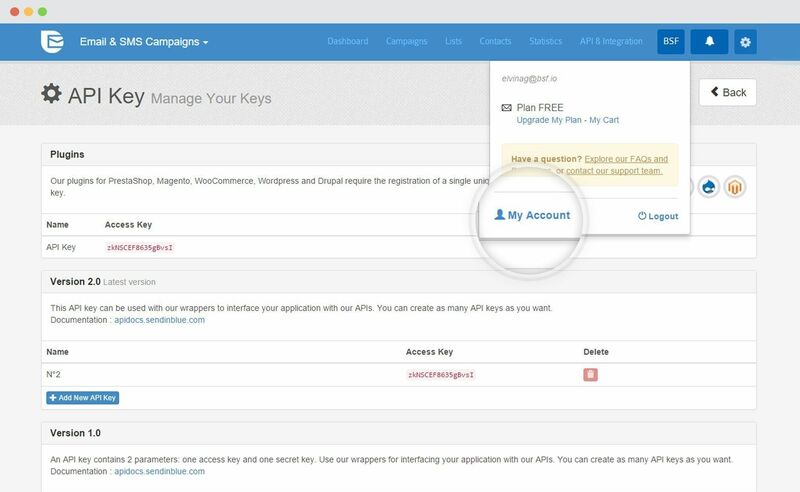 Under Version 2.0, you can create multiple API Keys that can be used to integrate with different applications. 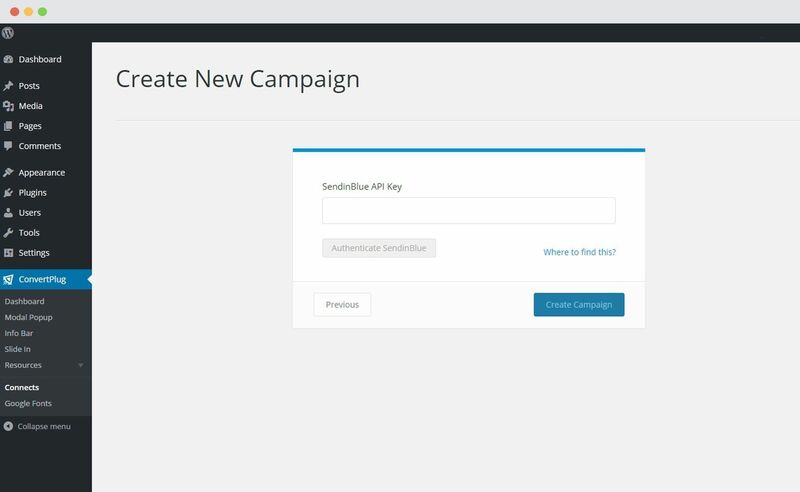 Click on Authenticate SendinBlue and select the list you wish to integrate with.